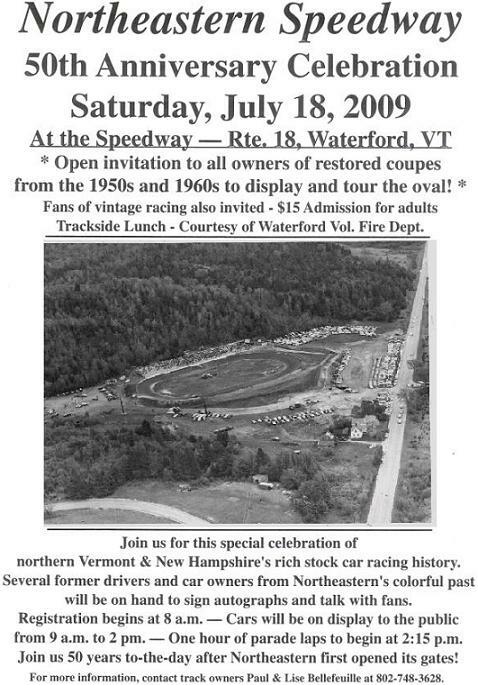 Race winners, champions, and statistics at Northeastern Speedway (also known as Waterford Motordrome) in Lower Waterford, VT. Regular event win lists categorized alphabetically by division on left side of page, special events categorized alphabetically on right side of page. Many thanks to Big Bigelow and Paul Bellefeuille for some of the information listed here, and thanks to Biggy for being one of my leading fact-checkers!